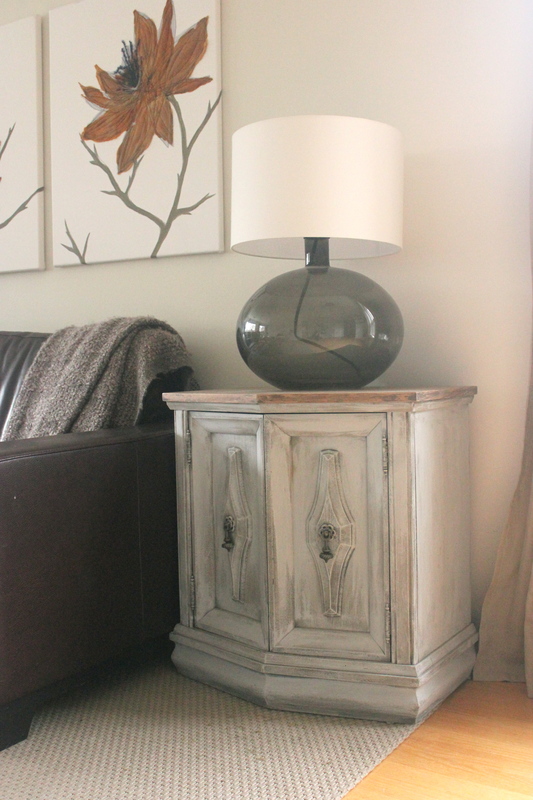 This is the story of two bedside tables turned living room side tables that have been painted and refinished 3 times in the past 3 years but now they are done. In our last home I painted them to blend in with the wall colours (light grey and dark blue) but this time I did them both the same. I never liked the look of the fake shadows sprayed on the wood veneer top but I had been apprehensive about refinishing it and ruining the top. 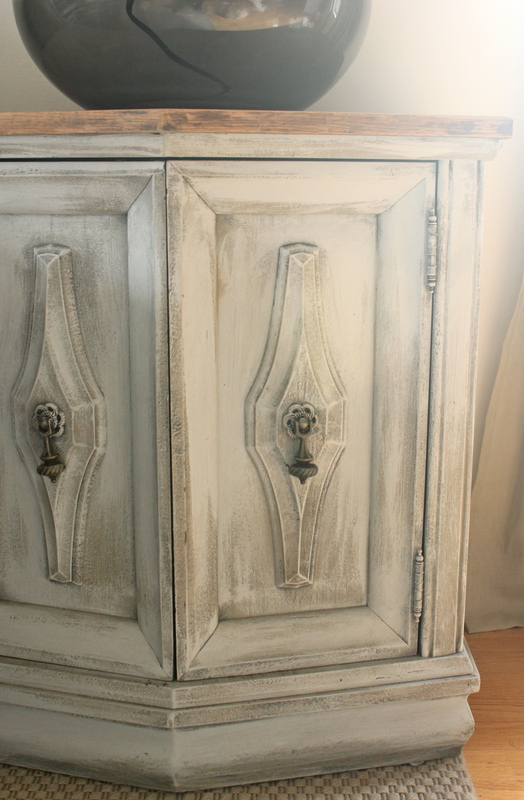 This is how they looked when I first bought them from a secondhand store where they were originally part of a bedroom set. I thought that the shape was interesting and they had an interior shelf and lots of storage space to help keep the living room tidy. Finally this summer I just went for it and used a stripper to remove the shiny varnish and stain. It took a lot of scraping and some sanding while being careful not to take off too much material. Then I applied my favourite stain that is a light grey so that the tables are lighter like the rest of the wood tones in our house and sealed it with a matte varnish. 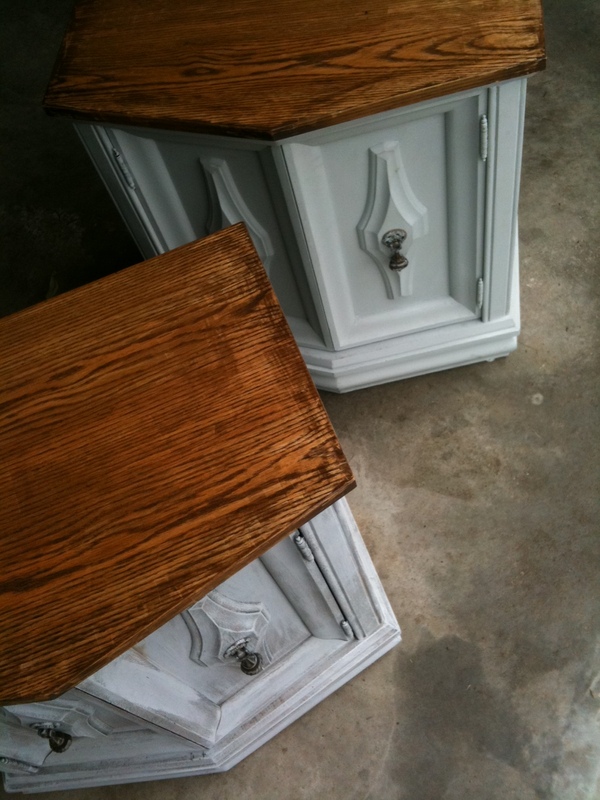 Doing this quick refinishing project was actually what gave me the experience and some confidence to tackle the large kitchen table that was on Apartment Therapy. 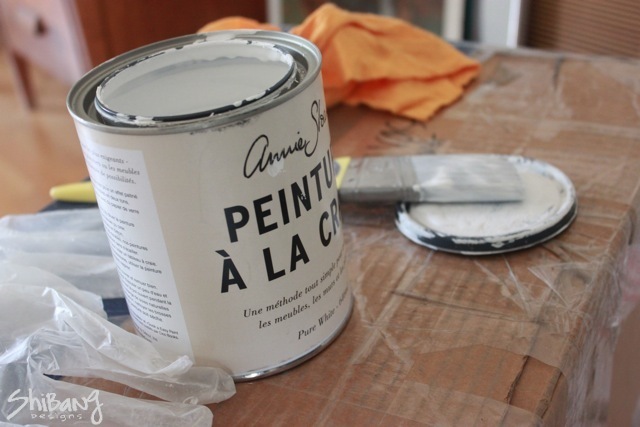 If you’re thinking about stripping and refinishing wood for the first time start with something small to get started, it’s not as hard as it may seem. Since having our baby at the end of November I haven’t been doing as much sewing but I have been working away at projects around our new home. 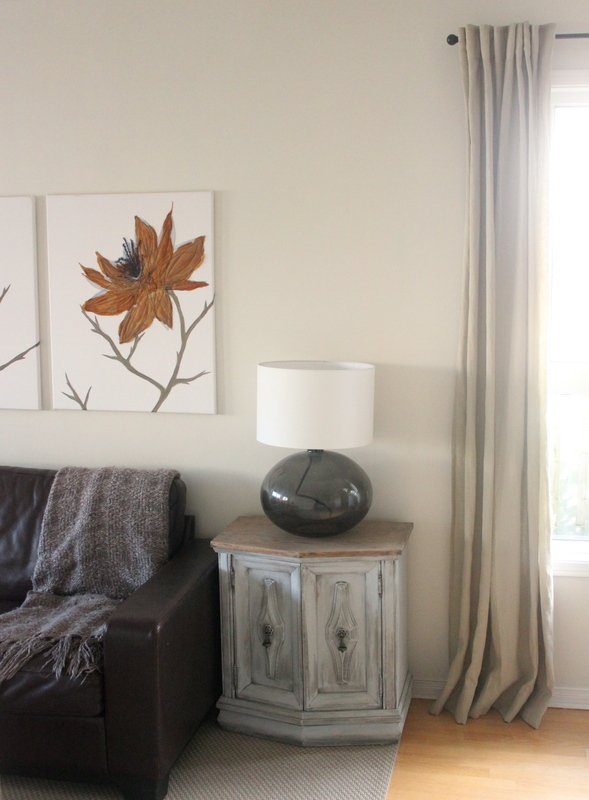 This is our first house and we moved in at the beginning of October so I did what I could while pregnant and then once our baby was born I spent a lot of time staring at the walls I desperately wanted to paint. 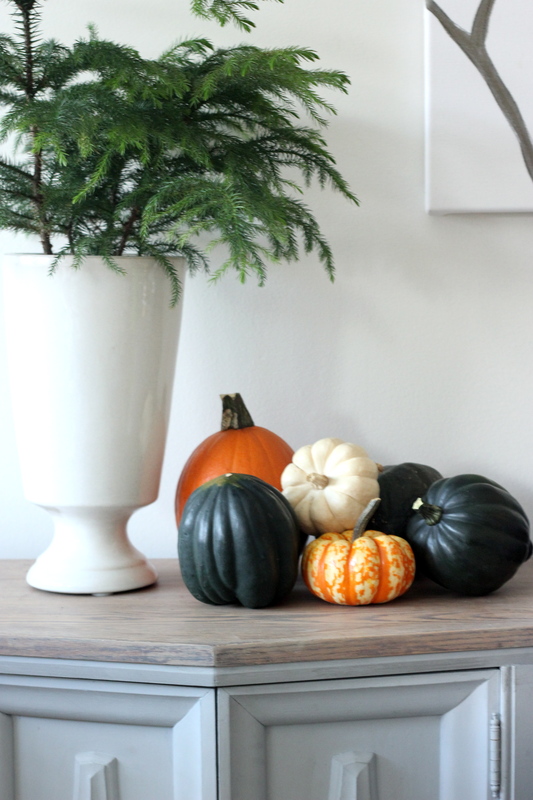 Browsing Pinterest and blogs inspired me by seeing what other people had done to transform their homes with simple updates that can make a big impact. Using paint can go a long way. This was what I first started with since it is the focal point of our living room and this combination of oak, dark blue and beige just didn’t work for me. 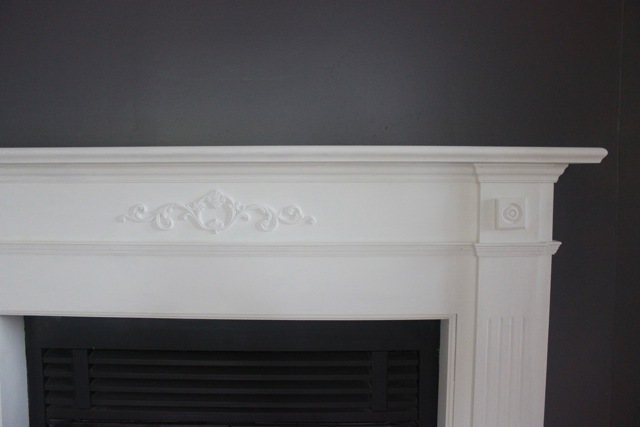 I used Annie Sloan Chalk Paint in Pure White to do the fireplace. It was so easy to use with no surface preparation needed. Here it is after one coat of paint and in total I think it took about three coats to get even coverage. This is a wood scroll that I glued on to add more detail to the woodwork. 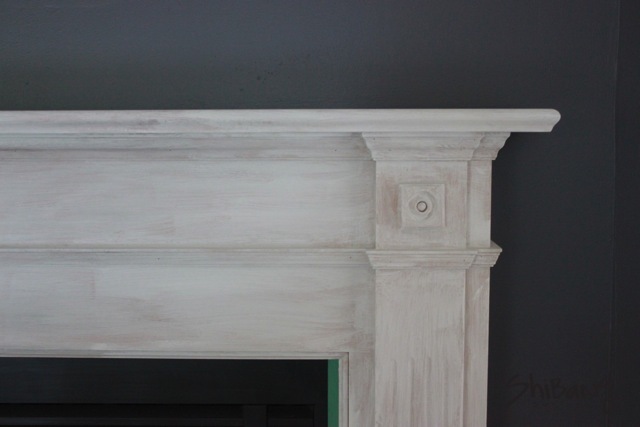 Here is a close up of the finished fireplace which was sealed with the Annie Sloan clear wax. Using the wax was the worst part of doing this project because it has a really strong odour. 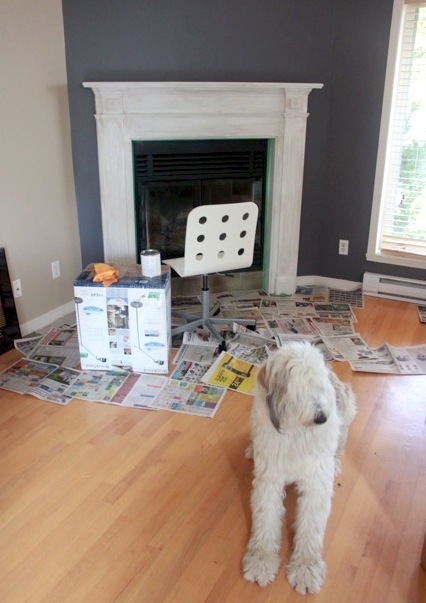 Once the fireplace was painted the dark blue suddenly looked much richer with the contrast against the bright white. 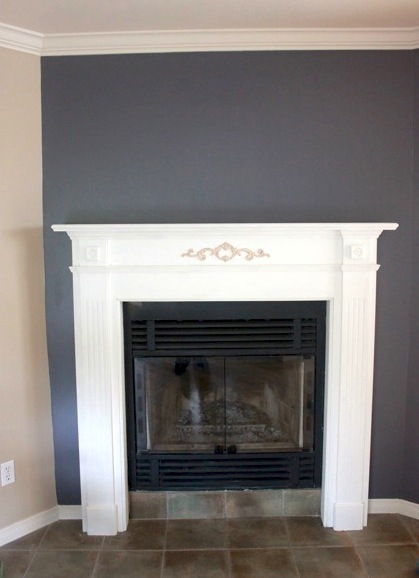 I knew that I would paint the fireplace white but I didn’t expect to keep the dark blue wall but that ended up being my favourite accent colour and I have carried it throughout our home. 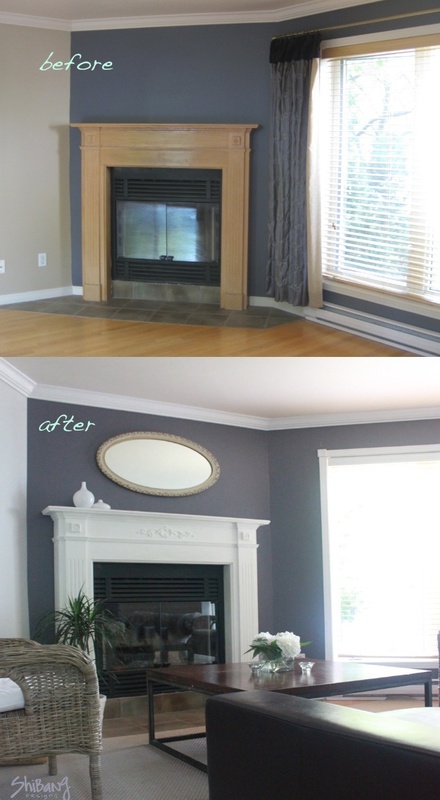 There are other things that have changed in the before and after picture besides the fireplace but I’ll share that painting in another post.